What started out as another troubled season on the track, eventually turned into a year of terrible tragedy for everyone associated with the Heathens. Changes in personnel, petty squabbles and poor form were all overshadowed by the death of emerging youngster Ivor Hughes in August. Welshman Hughes had been one of few bright spots after breaking into the team during the previous season and assisted by a new ESO motorcycle he had improved week on week during the Spring and early Summer. Matt Mattocks on bikes Howard Cole, Ivor Brown, Chum Taylor. There had been a couple of surprise team changes as the season began. Johnny Hart and George Major both left for Sheffield , as did Eric Hockaday a few months later. Clive Featherby eventually completed a drawn out move in the other direction from Owlerton to Dudley Wood, despite publicly preferring a switch to Kings Lynn. 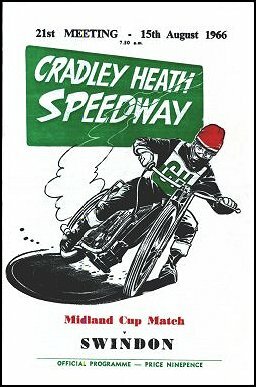 Cradley also brought in Howard Cole, initially under the alias of Kid Bodie, along with 38-year old Australian Chum Taylor. Ivor Brown continued as number one but for the first time, failed to find his very best form of previous years. At the other end of the team, junior Ron Cooper was always ready to be called upon at reserve, with Matt Mattocks and Joe Weichlbauer also making several appearances to cover for injuries and absentees. Wth spirits low and team form floundering, Ted Flanaghan took over mid-season as speedway manager with Roy Moreton stepping down due to work commitments. Alan Martin was stadium manager and the new pairing at the helm allegedly tried to halt the Heathens slide with approaches to past and present World Champions Ronnie Moore and Bjorn Knutsson. Neither came to any fruition. In the end, the only major signing was the late, late arrival of the highly rated Tommy Bergqvist for just two matches in October. By that point, the tragedy of Ivor Hughes track crash had struck and left everyone’s minds far away from points and performances. He became the only rider to lose his life in track action for Cradley Heath. The club's bottom place finish in the league paled into insignificance against one of the saddest events in the Heathens up and down history. The match between Cradley and Edinburgh was not raced. Ivor Brown 12, Chris Julian 10, Chum Taylor 8, Ivor Hughes 7.5, Clive Featherby 6, Howard Cole 2, Matt Mattocks 2. 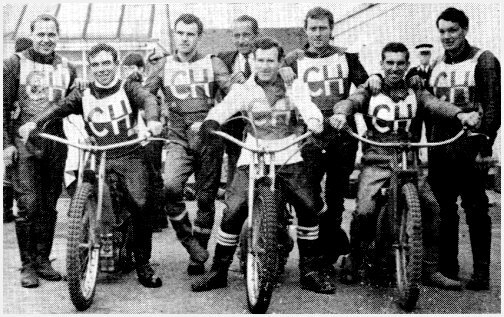 Chris Julian 13, Ivor Brown 11, (G)Colin Gooddy 10, Chum Taylor 7, Clive Featherby 5, Ken Wakefield 3, Howard Cole 3. (G)Arne Pander 12, Ivor Brown 9, Chris Julian 6, Chum Taylor 5, John Hart 3, Clive Featherby 2, Ken Wakefield 0. 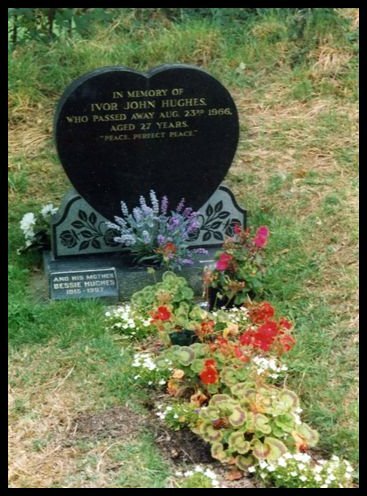 On 20th August in heat 13 of the match against Sheffield Ivor Hughes crashed and received injuries that sadly took his life. 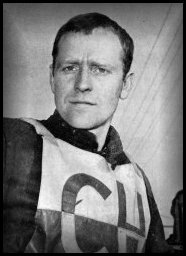 Ivor was the only rider to lose his life riding for the Heathens, he died 3 days later in hospital. Known to Heathens supporters as The Welsh Wizard, Ivor was just reaching the pinnacle of his career.